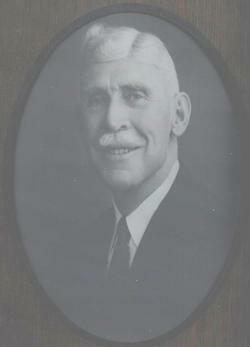 One of the early day residents of Lewistown, Montana was Mr. George R. Creel. At the young age of 26, George was working in the Judith Hardware Store. At that time, the store offered caskets for sale. George noticed the care of the deceased and funeral planning were done in a very crude manner. George pursued an education in Chicago and returned to Montana and obtained his license to practice in the funeral service profession. George established Creel Funeral Home in 1902, one of Central Montana's oldest businesses. He was determined to provide a more professional undertaking service. Care and compassion for all were the principles and guidelines he followed. The original location was on the corner of First and Main. After relocating to the Bright Hotel and then to the site of Lewistown Electric Supply, George purchased the property on the corner of Sixth and Main. This is the present day location of Creel Funeral Home. Creel Funeral Home has always been, and to this day still remains, locally owned and operated. 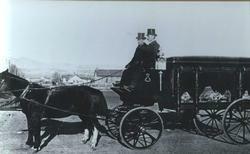 In the early 1900's the funeral hearse was drawn by a team of horses. At given times, even bobsleds were used when the snow got too deep. Creel Funeral Home continues to provide the dedicated and professional service that founder George Creel envisioned and knew every family deserved. Placing family needs first and treating them with care and compassion are still the guidelines and principles followed today.